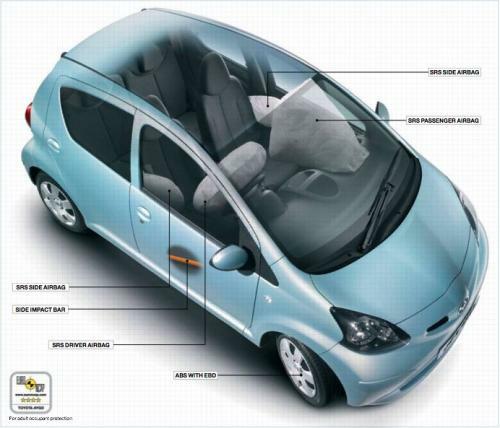 Drunk driving deaths up 26% last year in U.K.
SPYSHOTS: Is this the next-gen Suzuki Alto? Submitted by peter on 2 June, 2007 - 22:59. Driver, passenger and side airbags. Toyota Aygo managed an impressive 4 stars on the Euro NCAP safety test. This image was uploaded with the post Why Toyota should bring Aygo to Thailand. Alternative Fuel bkkAutos.com Site News Eco-Car Environment Global News Hybrid Industry New Cars Safety The Future The Law What??? "It doesn't really matter where your new car is built"
Copyright 2005-2019, bkkAutos.com. All rights reserved.